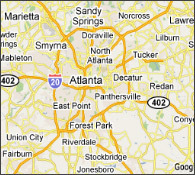 We have been selling and servicing copiers in the Atlanta area since 1972. We are an authorized dealer for Brother. Our technicians have over 100 years combined experience servicing copiers of all types. From the tabletop machines from Brother, Canon and Sharp to Canon, Xerox office models, Konica Minoltas, and Ricoh copiers - we can keep your machine humming. Since all copiers are now multifunction devices it makes sense to use a company that has been servicing all kinds of machines that put ink to paper for over 50 years. We also sell toner for your machine at a very competitive price. We have an abundance of experience with machines that print and fax and scan so let us service your multifunction device. You can bring it to our modern shop for a free estimate in shop. or we can dispatch an experienced technician to your office for fastest service. Serving the following Georgia cities: Atlanta, Decatur, Smyrna, East Point, Forest Park, Panthersville, Doraville, Redan, Tucker, Riverdale, Sandy Springs, Norcross, Lilburn, Marietta, Mableton, Union City, Stockbridge, Conyers, Lawrenceville, Johns Creek, Roswell, Woodstock, Acworth, and Jonesboro.